A Woman's Place : Support Us : Thank You! Thank you to Sarahlyn Branson for benefiting AWP with her wonderful talent and generosity. 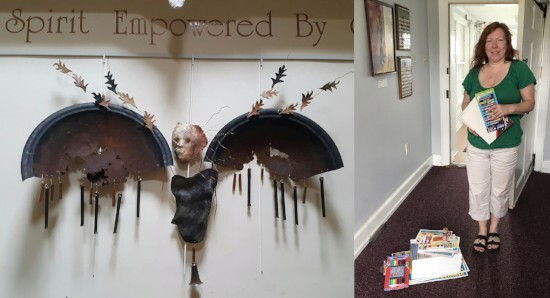 Reclamation: The Art of Sarahlyn Branson is currently showing at the Pebble Hill Gallery through the end of the month, and Sarahlyn is donating proceeds from sales to AWP. In addition, Sarahlyn collected art supplies and monetary donations at the show’s opening night. Thank you, Sarahlyn! 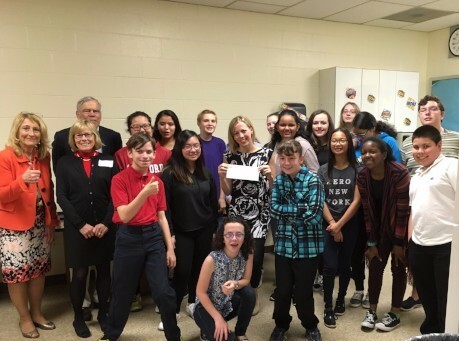 Thanks to Shafer Middle School's Arctic Club who chose AWP as a beneficiary to receive a generous donation from the Norman Raab Foundation! These amazing young people researched and interviewed multiple nonprofits and their hard work will truly make a difference in their community. Thank you, Shafer Sharks, for your support! Thanks to Will Russell who generously chose benefit AWP with hard work for his Eagle Scout project. 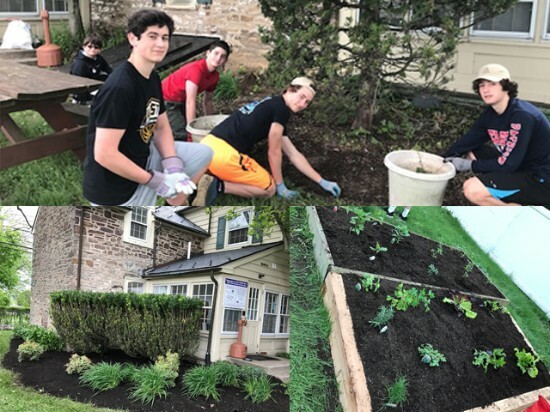 Will gathered materials to rejuvenate the yard at AWP’s administrative office and planted wonderful garden plots at the emergency shelter that residents will care for and enjoy. Thank you, Will, and good luck! Thanks to the Comcast Ivyland office for supporting AWP with their #ComcastCaresDay activities! Dozens of Comcast employees came together the weekend of April 22 & 23 to work on projects to benefit our community. 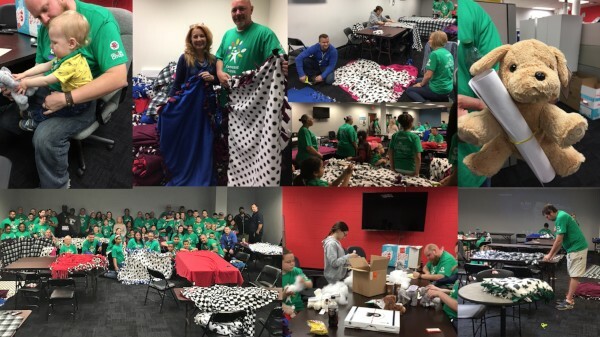 Team members crafted no-sew blankets for AWP’s shelter residents. 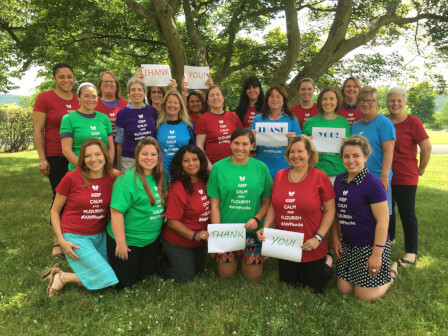 Thanks, Comcast, for working to make our community better! Three cheers for our generous community for the huge Wish List collection put together by the Greater Newtown Exchange Club. Three carloads of much needed items were delivered to AWP, all collected by Exchange Club members and friends. Thank you to the Exchange Club for their generosity in providing necessities for AWP’s clients. 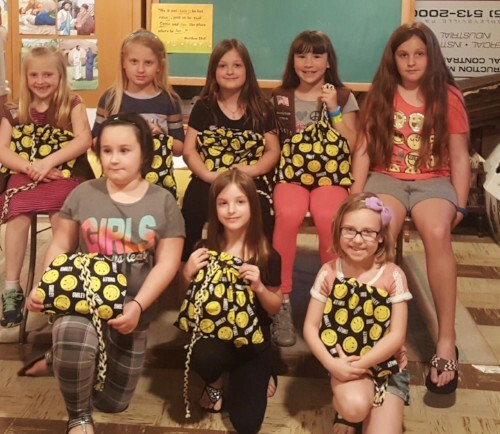 Thank you to this fabulous Brownie Troop who provided Smile Bags for the children in AWP’s shelter. 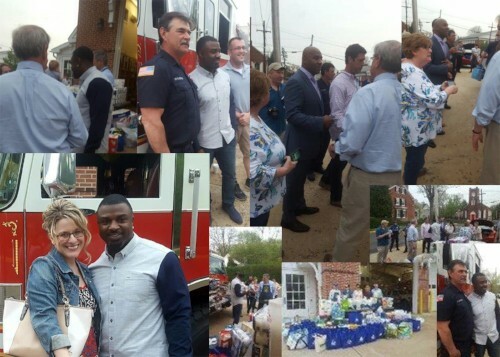 Each bag included items such as coloring books, crayons, stickers, books, toothbrushes and toothpaste, snacks, small toys, and a special note. The Brownies received their Philanthropy Badge for their time and effort, and the children in AWP’s care will receive a cheerful hello to help them through their experiences. Our thanks to the 2nd graders at Neshaminy School District's Tawanka Elementary School for holding a Sock Hop collection for AWP clients and their children. 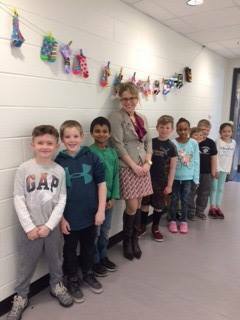 The kids collected dozens and dozens of pairs of wonderful socks for those clients and their children who might have had to leave some of their own things behind. Thank you Tawanka Second Graders! To see more of AWP's generous donors, please click here.